Summer is here. It's getting humid and hot each day. I wonder where rain is? It's a warm day everyday of March and as this month ends, the weather is still summer. So, I suggest to treat myself with a cold drink or an ice cream. Oh la la! McCafe and Hot Fudge are two of the most affordable desserts that anyone can buy. It's just less than 50php for a summer treat. 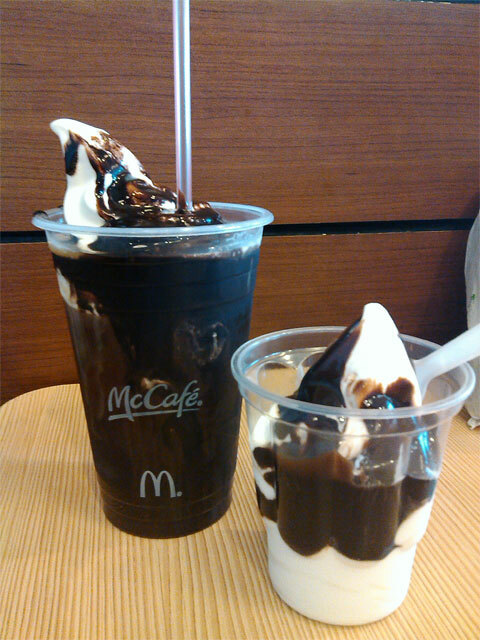 McCafe Coffee float is made of 100% freshly brewed coffee of Arabica beans that is chilled with ice cubes and topped with soft cool sundae with chocolate syrup drizzled on it. Hot Fudge sundae is made of soft vanilla ice cream with chocolate fudge sauce smothered on it.